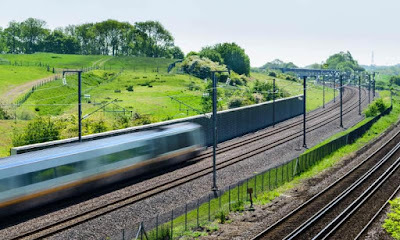 An unsupportive Rotherham Council has submitted its response to the latest HS2 consultation on environmental impacts and mitigation as the designs evolve for the high speed route which is set to head through the borough. Rothbiz reported on the details released as part of the consultation which highlighted that more land is needed during construction. It described the design of the railway and reported on the impacts of its construction and operation. As the bills make their way through Parliament, design work has continued on how the line may look, from box tunnels, cuttings and embankments, to bridges and viaducts. Rotherham Council has continued to prefer the initial route which included a through station at Meadowhall and last month passed a motion to call on the Government to abandon the Leeds leg of the project. The authority's response emphasises the stance. It reads: "The Council has made it clear that it does not support HS2's revised alignment of the Birmingham to Leeds leg, calling on the Government to abandon the current scheme between Birmingham and Leeds immediately. This will save Rotherham and South Yorkshire from significant detrimental impact and the cost savings should be reallocated to fund essential local improvements in accordance with the Northern Powerhouse ambition. "The provision of this infrastructure will impose significant environmental implications on the borough and if unmitigated, will create a legacy of detrimental impact on large areas of the community. "The Council strongly believes that the previous route alignment which followed the M1 corridor, supported by a parkway station at Meadowhall, delivers the highest economic benefit and had the potential to significantly alter the investment proposition of the local area. The new route alignment does not offer any comparable benefit and the Council's unsupportive position remains." The response covers environmental aspects such as air quality, ecology, historic environment, landscape and highways. It is critical of HS2 Ltd not utilising the latest Local Plan in its research and not providing sufficient details in proposed amendments to the highway network in Aston and Thurcroft. It adds that as the areas of Rotherham impacted by the route are mostly rural, and with the absence of a parkway station, it means that the regeneration benefits promised by HS2 would not be as great in the borough. It's not that often I agree with Rotherham Council but I think they are right about this. The benefits, for South Yorks., of HS2 extending North of Birmingham were only limited with the initial proposed (Meadowhall) route and the alternative route (with no. South Yorks. 'Parkway' station) are non-existent!